An average user devotes 17 minutes per month on LinkedIn. No wonder, LinkedIn is ranked alongside the premiere business and professional networking sites on the internet. People use it as a form of professional social media and to develop connections within their current or prospective profession. Making connections is important for every level of business, from those considering or just entering a profession to powerhouses who have been in the business for a long time and know the ropes backwards and forwards. But that isn’t all that LinkedIn is good for and in fact there’s another benefit to business networking sites like LinkedIn that some entrepreneurs overlook as they compartmentalize their social media as something other than a form of marketing. 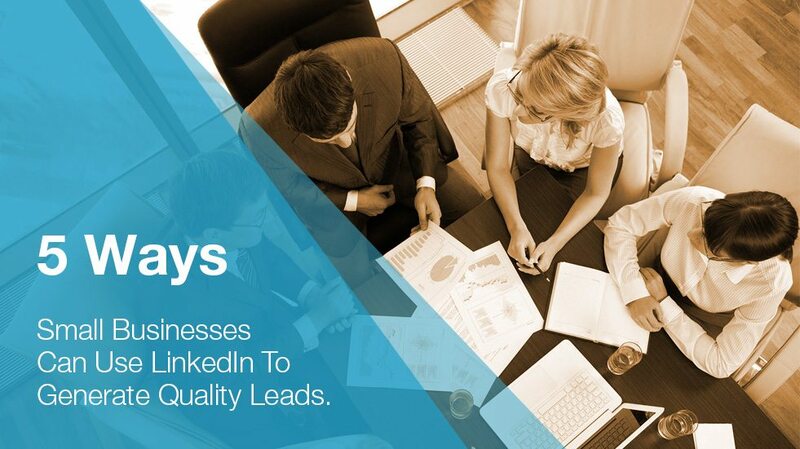 Part of what LinkedIn has tasked itself with being is the king of business to business (B2B) connections, and it would behoove you to use this to your advantage if you want to use its network of successful and up-and-coming individuals to generate the sort of quality leads you need for your small business. Here are a few ways in which you can use this powerhouse network to generate those leads and boost the success of your small business. LinkedIn is a powerful tool for making connections so make sure you’re utilizing all the tools that it provides to you, from the analytical reports to groups and the ability to send messages. 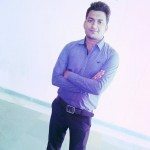 Reaching out to users by joining top LinkedIn groups and answering questions for prospective connections gives you credibility and gets your name seen. The more often people see your name associated with positive, productive work in the community, the more likely they would want to make connections with you. If you’re meeting with someone in person, make sure you have the mobile app! LinkedIn has a mobile app and it works wonders in making new connections, reveals LinkedIn blog. It even works with the newly adopted near-field communication technology. Phones that possess this technology can “bump” to share contact information through the app. Not only is it a bit of interesting tech, but it also helps you avoid misspellings or mistakes when you share this way. Avoid banner blindness and refrain from boring people with your ads by rotating graphics. Using up to 8-10 graphic banners will keep people from getting desensitized to them. Ensuring professional yet creative ads will help you summon the interest and attention of your target audience. And for this, you don’t necessarily need to keep a full time graphic designer on the payroll; you can depend on sites like Designhill for unique, easily customizable and creative banner ad designs well within your budget. It’s true that in order to draw people into your profile, and get the clicks you want and the connections you need, you have to have great content. But keep in mind that you’re dealing with other professionals, many of whom are just as if not more accomplished at marketing than you are. In order to ensure that your content isn’t weighted in favor of quantity, make sure you keep value at the forefront. Offer something that is valuable to those in your field. You should have no trouble generating content that’s relevant and intelligent and garner interest for your effort. LinkedIn gives you the space to fill in a great deal of information about your company when you sign up, so make sure you take advantage of it, just like you would on any other social media site where you were representing yourself. Rebekahradice.com suggests you not to leave your LinkedIn profile incomplete and make sure you take advantage of the ability to add other media if and when it’s presented. Creating a complete picture of your business or professional presence helps others understand you and through this they connect with your goals, message or the value of your service. We’ve discussed content (and more content) already, so you already know the importance of that aspect of generating leads through LinkedIn, but as you craft that content make sure it’s not passive information and anecdotes. You can place these lead generating links out to landing pages in publications, summaries and your media as well as other areas. Link out to promotional pages, products, freebies and announcements to generate leads, interest and drive sales. LinkedIn offers these and many other tools to help you succeed at generating leads and sales via their B2B networking design, so make sure you explore their offerings thoroughly, check out the community help and answers sections and try your hand at each area the site has to offer. Rather than putting hours and hours into your profile and then forgetting about it, the best way to keep connected to this community of professionals is by dedicating a few minutes a day to review, click and connect. The value in those few minutes will help you present yourself as a leader in your field and generate interest just where you want it. Looking for Customized, On time, Banner Ad Designs? Launch a Banner Ad Design Contest today. Choose from 100+ designs. Take your pick!